The City of Boulder is conducting a prescribed burn on about 20 acres of open space on Shanahan Ridge today. Boulder Fire-Rescue is supervising the planned burn and firefighters will monitor the burn at all times until it is safely extinguished. 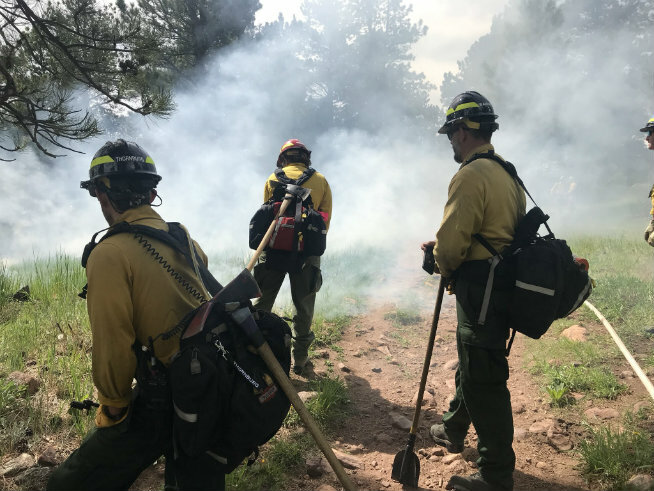 Prescribed burning will help reduce fire danger for south Boulder residents and help to improve forest ecosystem health. Additional information about prescribed burning is available at plannedburns.org. Click on the button below, or visit www.boco911alert.com, and sign-up to receive messages about imminent threats and hazards by text message, email, and/or on your cell, home or work phone.